Dr digi is a big an animal lover as the next guy. 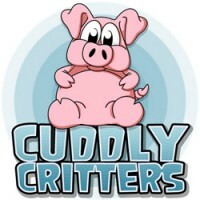 So why not try a cuddly critter on your guys card? "Cuddly Critters Cow " Digital Stamp..
"Cuddly Critters Cow " colour Digital Stamp..
"Cuddly Critters elephant" digital stamp..
"Cuddly Critters elephant" colour digital stamp With Bonus peanuts ..
"Cuddly Critters Hippo " Digital Stamp..
"Cuddly Critters - Hippo " Colour Digital Stamp..
"Cuddly Critters Panda" digital stamp..
"Cuddly Critters Panda" Colour digital stamp..
"Cuddly Critters Penguin" digital stamp..
"Cuddly Critters Penguin" colour digital stamp With Bonus fish ..
"Cuddly Critters pig" digital stamp..
"Cuddly Critters Pig" colour digital stamp With Bonus turnip ..
"Cuddly Critters Rabbit" digital stamp..
"Cuddly Critters Rabbit" colour digital stamp With Bonus peanuts ..
"Cuddly Critters Squirrel" digital stamp..
"Sports Fan Dan" digital stamp..
"Cuddly Critters Walrus" digital stamp..
"Cuddly Critters Walrus" colour digital stamp..